Next week at Dijon University in France, an exciting new program will begin. Scholars from all over the world will contribute to a seminar series about illustrations used in the service of science, specifically the relationship between scientific texts and their illustrations and the role illustrations play in the scientific process. The seminar series will occur over three academic years (2012-2015). Topic areas include illustrations used in medicine, physics, biology and other disciplines, as well as chronological reviews of history (e.g., illustrations during the Renaissance, the Enlightenment, etc.). Leading discussions during 2011-2012 are scholars from Belgium, France, Greece, the United Kingdom and the United States. Marie-Odile Bernez is the project coordinator of this seminar series. I had the opportunity to ask her a few question about the three-year program. ArtPlantae: What made you decide to create this seminar series? Marie-Odile Bernez: My training is originally as an English teacher, specializing in the 18th century and the history of ideas. My research lab/centre focuses on the relationship between text and images, and has so far restricted its studies to the arts, the cinema and literature. I thought it would be a good idea to develop interdisciplinary seminars focusing on scientific illustration, in a historical perspective, mainly to strengthen the links between hard sciences and the humanities. Because we are in Burgundy, I was also involved in the organization of a 2007 conference commemorating the tercentenary of Georges Louis Leclerc, Comté Buffon’s (1707-1788) birth and it struck me at the time how important the illustrations for the Histoire naturelle were. Burgundy was the home of Marey also, and I thought we were totally legitimate in our approach, and could build on those two “ancestors”. AP: How long did it take to launch this series and get presenters scheduled? MB: It didn’t take very long. In fact, I posted the first call for papers last January and was astonished at the amount of positive responses I received. I was invited to join a seminar in Spain (Minorca) last May, where I met several historians of science including Klaus Hentschel from Stuttgart, Daniela Bleichmar from California and Nick Hopwood from Cambridge, and many of their students. This gave me more contacts and, from then on, I tried to organize a schedule. The schedule for 2012/13 is almost ready too. AP: What do you hope to accomplish through this seminar series? MB: This is a tricky one. My first aim was to reinforce our links with the hard sciences and show how much the history of ideas depends on the developments occurring in different scientific domains. Then, I would also like to advance our understanding of the relations (between) text/image, and especially see how images illustrating scientific texts differ from other images, because their acknowledged end is to contribute to our understanding of an accompanying text, but I think also that all images, even scientific ones, are connected to a wider context, and add to the text, by expressing other things than what they are supposed to illustrate. Is this different however in the case of scientific images? AP: You mentioned there is a publication planned that will focus on the presentations presented during this series. Will the publication be in book format? In journal format (i.e., a collection of articles)? Will the publication be available to the public? MB: My colleagues have suggested we should publish the collection of articles, preferably in English and in a book format, so that something remains of the seminars. My intention is to collect the papers over the next two years, which should give us quite a range of subjects, but also enough material to present a coherent project to a publisher. As far as I know, the series of seminars should go on after that, if funding remains available, and so perhaps two publications might be available eventually, to cover two two-year periods. The Department of Communication & Documentation and the fund dealing with the Scientific Collections at the University of Burgundy are pleased to announce an exhibition entitled Images in the Service of Science, in conjunction with the launch of this special seminar series about scientific illustration organized by the Interlanguages Centre. The exhibition highlights various modes of scientific illustration, from wall panels to rare books about natural history. Images have always been essential to the sharing of scientific knowledge. At a time when 3-D imaging and virtual images dominate, it should be remembered that up until the 20th century, the only way to show to the wider public what was observed, was through illustrations. 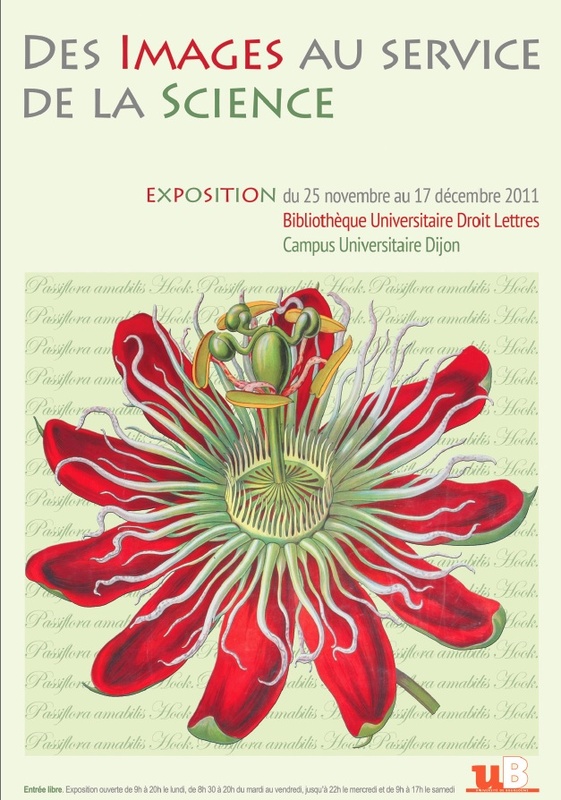 Images in the Service of Science will be on view November 25 – December 11, 2011 in the main University Library for Arts and Humanities on the campus of Dijon University. Research Focus: Issues surrounding the discovery of biodiversity and early attempts to protect it. Dr. Chansigaud is also interested in how people can transmit their knowledge about wildlife using technology. Research Focus: Relationships between science and literature, also the history of ideas in the 19th century. Research Focus: 18th-century Britain and the history of ideas relating to the sciences and political events. Bernez translated the works of the French Revolution by Mary Wollstonecraft and has published articles about 18th-century aspects of the development of modernity. Research Focus: The history of stenciling. Kindel also served as the principal investigator for the research project, Isotype Revisited. Research Focus: History and the philosophy of psychology, scientific images, theories of image perception, psychological instruments and early cinema studies. Research Focus: European history, the history of science and medicine, women’s and gender history and environmental history. Research Focus: Irish cultural history, the links between art in the field of politics and the evolution of cultural nationalism in Ireland during the 20th and 21st centuries, visual representations of the Irish by the British in the 19th and 20th centuries. Thanks for sharing Tania and posting additional info about this project! FrontierScientists.com will soon post a video with permafrost images. It is amazing how beautiful and full of information a photo of a natural feature contains. 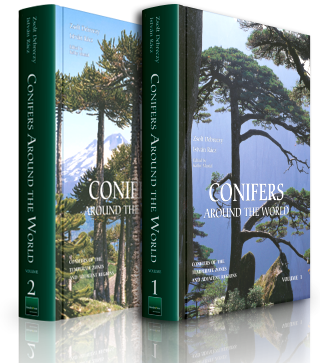 We have scientist Ronald Daanen explain the patterns and unusual features the photographs portray. .